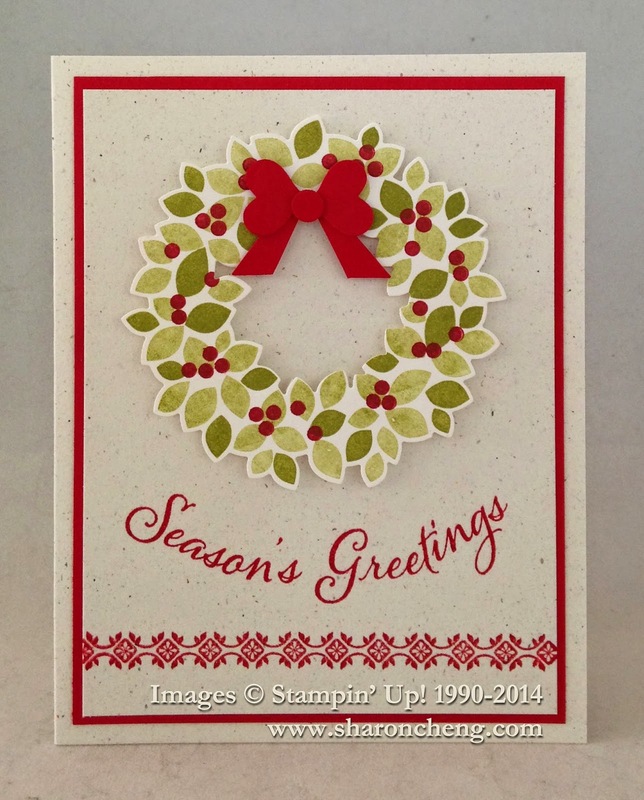 My stamp club members decided this was a quick and easy card thanks to Stampin' Up! 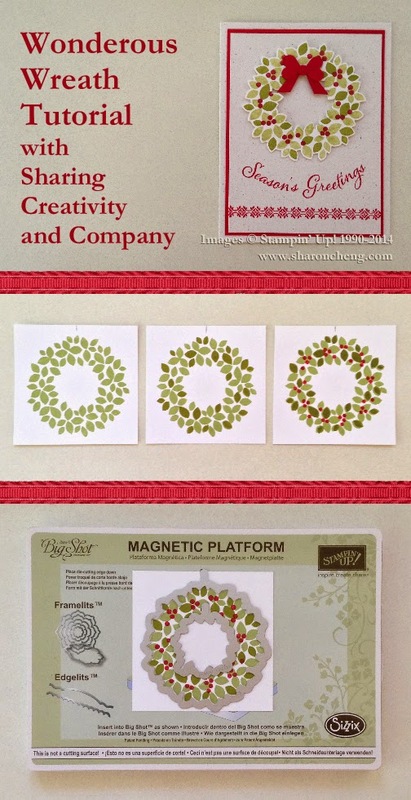 's Wonderous Wreath stamp set and coordinating framelits. Making the Wonderous Wreath in a class setting went very quickly. We learned that it wasn't critical that all of your leaves line up. It actually looks more natural when you don't line things up exactly the same! To make the Wonderous Wreath (say that quickly three times! ), you will stamp three layers of the wreath. Thanks to being clear photopolymer stamps, it's easy to see where you are stamping. The stamps and framelits have a tab so you can easily see where the top is. I marked the top of my paper too as you can see in this video tutorial. Here is the picture tutorial showing all of the steps. I also have tutorials for the curved sentiment and punch art bow. There is a bow that comes with the stamp set and framelits that you can also use. I liked the texture and dimension from the punch art bow. And by the way, if you leave out the banner tips, the bow looks like one that Minnie Mouse would wear in her hair!